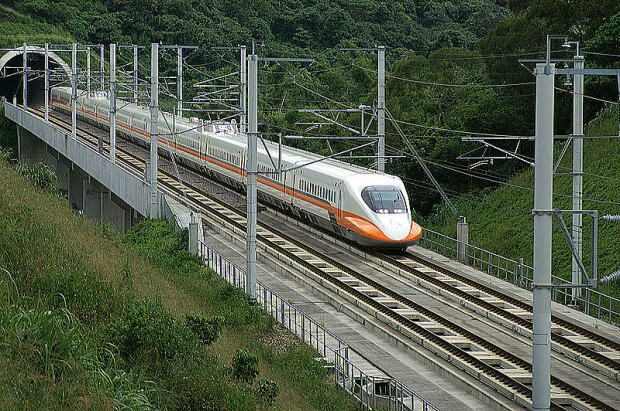 coast of Taiwan. 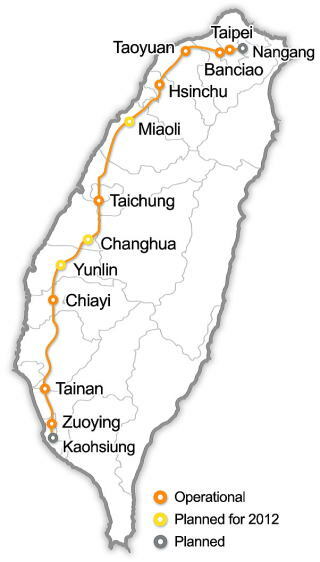 It is approximately 339.3 kilometers long, and runs from Taipei City to Kaohsiung City. 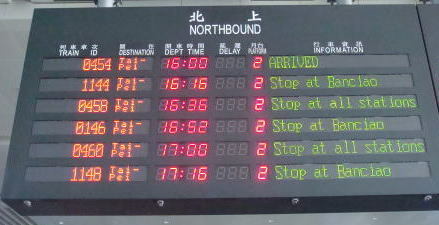 take 120 minutes to travel across the almost same route. 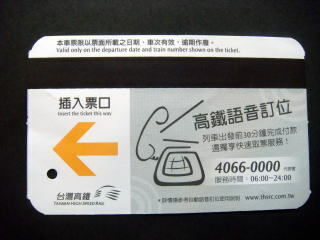 (R) The back side of the electronic THSR ticket should be up when inserting it into a ticket gate. 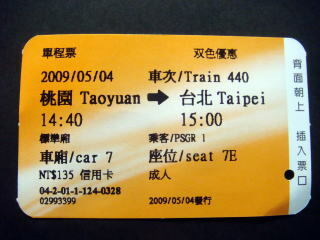 The THSR ticket ( Taoyuan to Taipei ) ( Taipei to Taoyuan ). 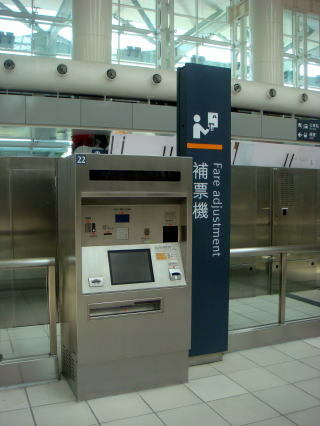 The THSR automatic ticket vending machines. 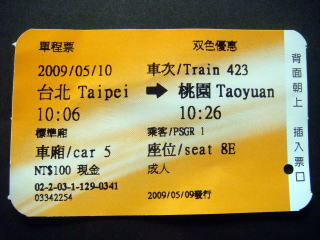 It shows a discount on the days' Monday through Thursday. 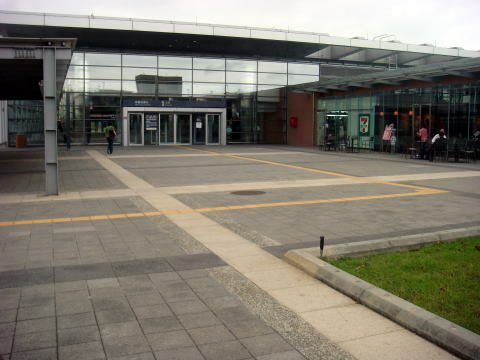 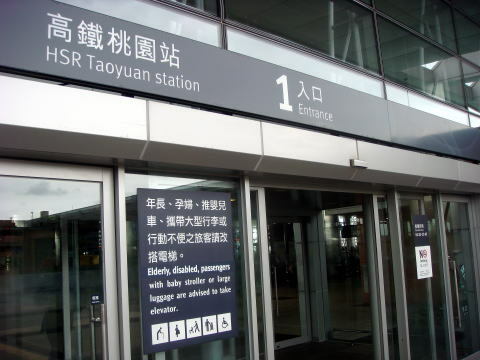 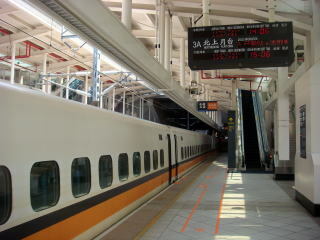 (L) The front view of THSR Taoyuan Station (R) An express train is now arriving in the Taoyuan Station. 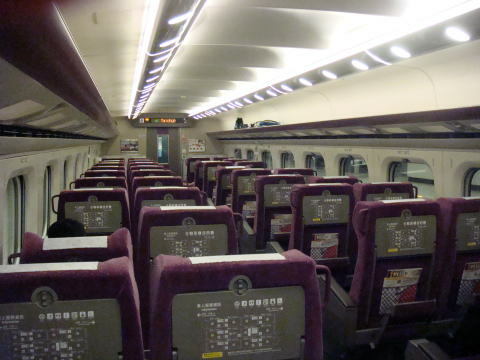 (L) A standard class Seat of the high speed train. 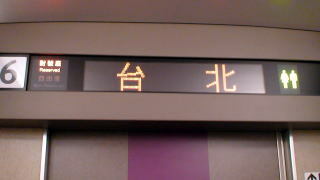 (R) A business class train ( The train #6 ) and a train information plate. 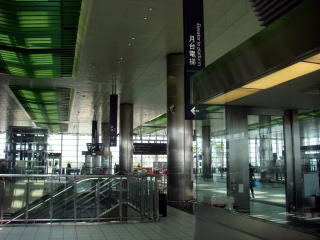 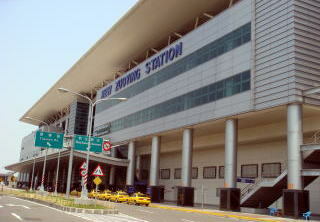 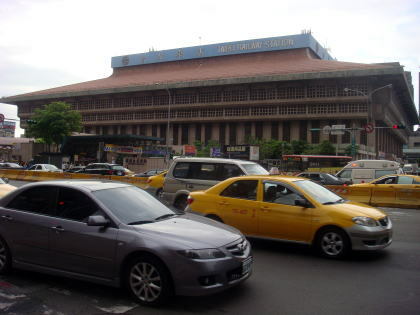 (R) The south terminal station, Zuoying station.The railway tracks of THSR extend to the northern part of Taiwan. 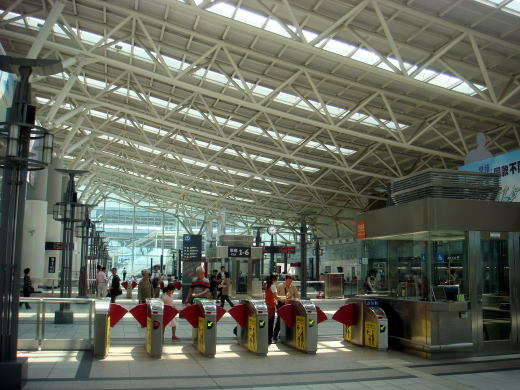 (L) The station hall and ticket gates of Zuoying station. 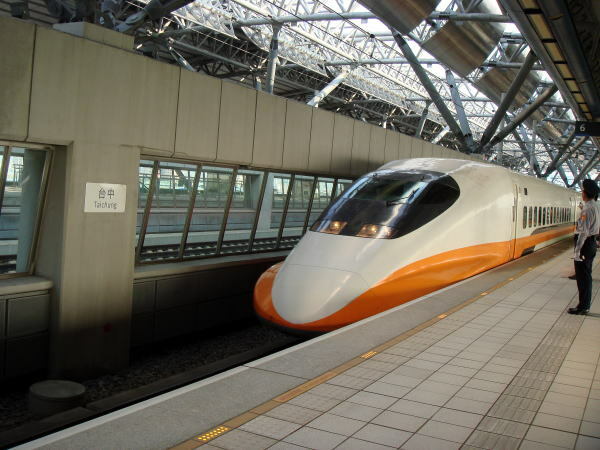 (R) A high speed train for Taipei is on the platform of Zuoying station. 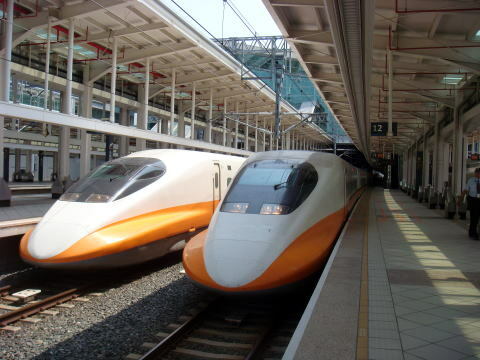 (L) High speed trains for Taipei are waiting for a departure. 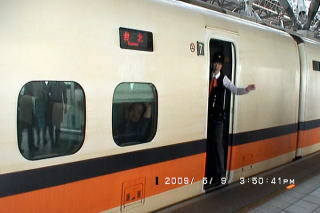 (R) A woman conductor at the entrance of a business class train on the plateform of Zuoying station. The THSR ticket ( Zuoying to Taichung ) ( Taichung to Taipei ). 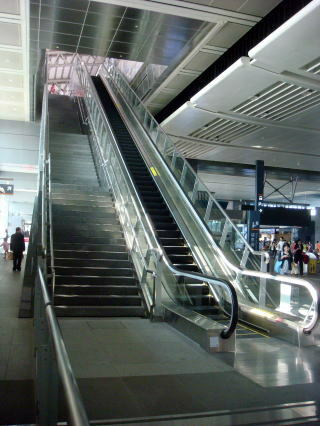 (L) An escalator in the THSR Taichung station. 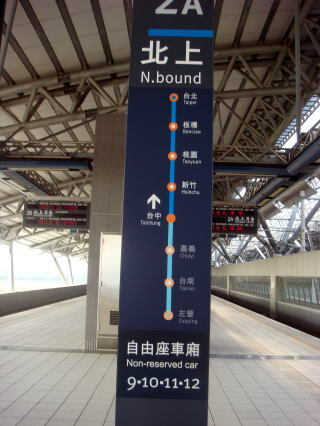 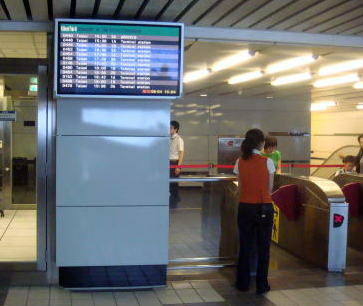 (R) A departure information board at the THSR Taichung station. 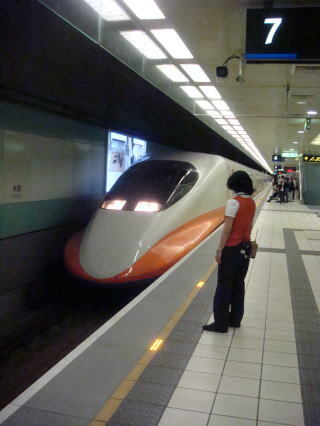 (L) A high speed train for Taipei at the platform of Taichung station. 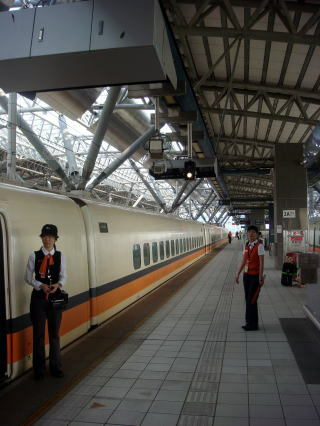 A woman conductor operating the switching signal of the train door open-and-shut system. 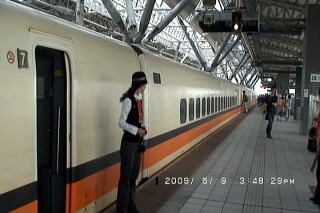 A woman conductor carefully checking the status of train doors at the Taichung station. 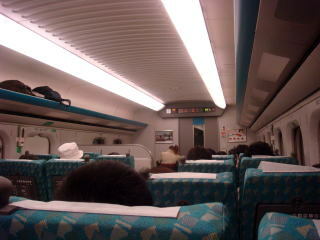 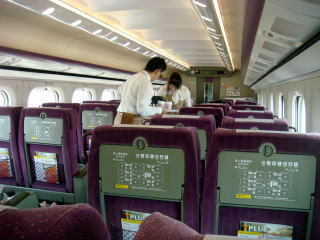 (L) The train crews after finish working are on the way home. 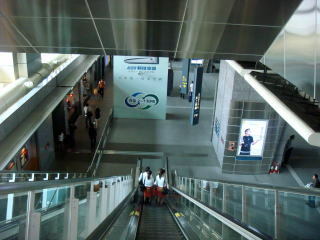 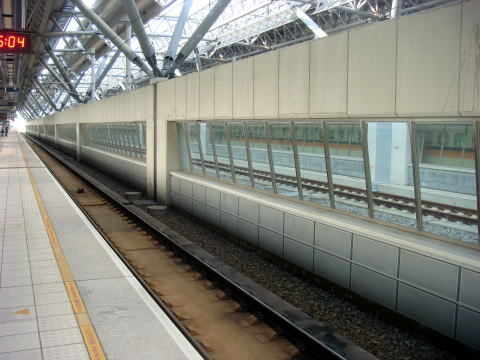 (R) A side track to pass through the THSR Taichung station.n a train. 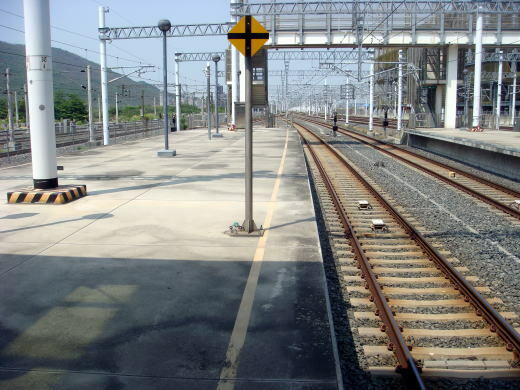 At present, the side tracks are not in use. 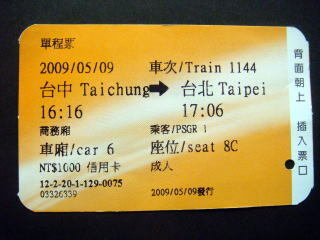 (L) THSR Train Business Class Seats (R) An electronic sign board informing the arriving Taipei. 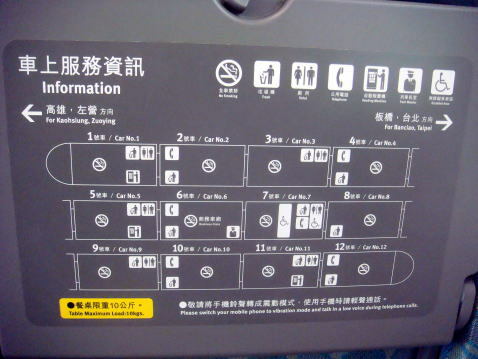 Health warning for smoking in Taiwan A new era in a chinese culture and life in the island of Taiwan.